¼ tsp black onion seeds. A handful of sliced green beans. Add the asafetida and give it a good stir. Add the cumin and onion seeds and allow them to come to a sizzle. Add the ginger, tomato puree, stir and allow to cook until the paste starts to thicken. 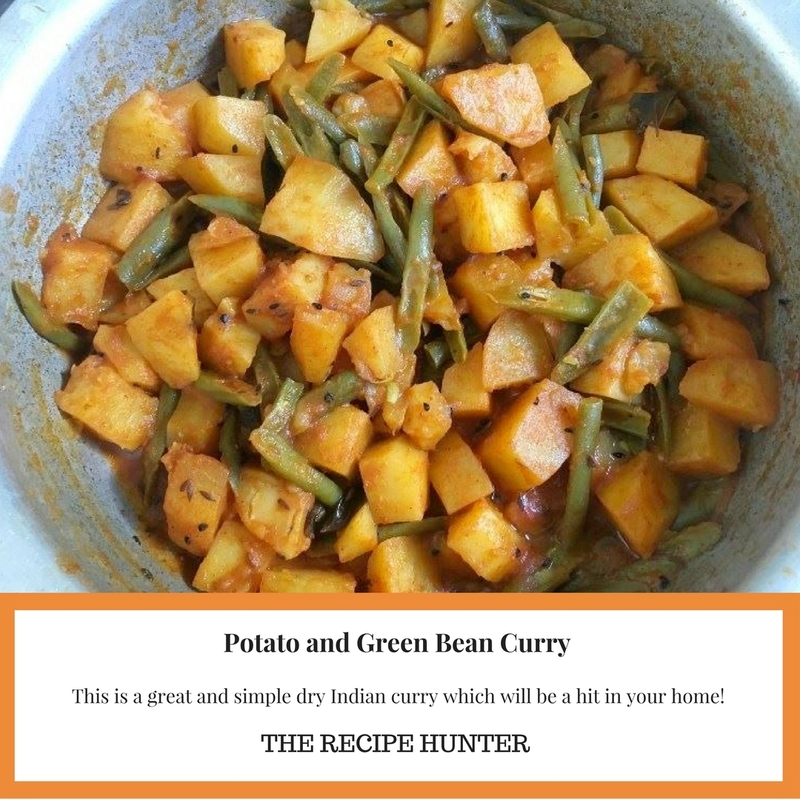 Add about 1 cup of water, the green beans and potatoes, salt and masala, give it a good stir, cover and allow to cook until the potatoes are cooked. You can add more water if need be. Remove from the stove and sprinkle the garam masala over the top. Thanks, sorry for being slow, been away the weekend, and just returned.